Cisco College seeks to encourage life-long learning and enhance the quality of life in the communities it serves by maintaining an open-door admissions policy and providing a comprehensive array of learning, service, and life experiences that will motivate and challenge students. In order to meet the needs of a diverse constituency, the College offers a variety of programs and courses in academic higher education, workforce development, and personal growth development. Faculty participate in continued professional development with a commitment to research and innovation as a basis for curriculum development. 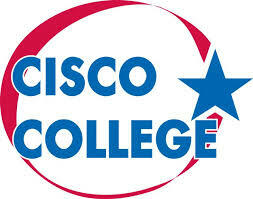 Associate̠s degrees designed for transfer to a university, associate̠s degrees and certificates designed for direct entry into the workforce, and opportunities for job skills continuing education and personal life enrichment are all a part of the dynamic offerings found at Cisco College. Support services complement the focus on learning and assist the faculty in helping students pursue their educational goals at Cisco College. Developmental studies designed to help students prepare for college-level course work and a variety of student success programs are instrumental in providing students with a strong foundation for achieving their goals.